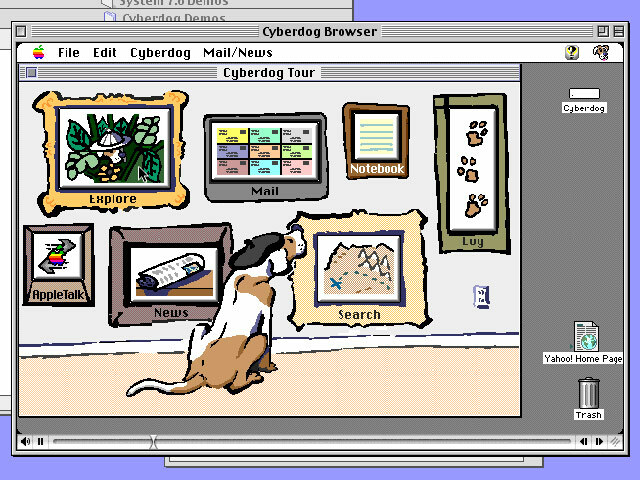 I’d forgotten all about Cyberdog, Apple’s short-lived suite of internet applications, until Dan Frommer posted a wonderful gallery of screenshots from The 1997 MacAdvocate CD-ROM. It had a browser, mail and Usenet clients, an address book and a basic FTP file transfer thingy, all cobbled together with OpenDoc–a brilliant in theory, terrible in practice framework for making full-blown applications out of little components. A New World PPC ROM.